Le beau Serge and Les cousins, the first two films from Claude Chabrol, mark the official birth of the French nouvelle vague. The two confident, mature dramas don’t have the stylistic flash or narrative invention of the more famous works by Godard and Truffaut that followed, but that was always the way with Chabrol, the classicist of the “Cahiers du Cinema ” crowd. Where Truffaut added autobiography, enthusiasm and a palpable love of the act of filmmaking to his films, and Godard deconstructed filmmaking, storytelling and narrative expectations in his films, Chabrol used his camera like a microscope to study the psychology under the surface of human behavior in the Petri dish of social definitions and relationships. Alfred Hitchcock was his idol (he wrote, with fellow critic and nouvelle vague director Eric Rohmer, an early study of Hitchcock’s films) but it wasn’t the mechanics of suspense the interested him, it was the human equation: guilt, jealousy, obsession, the impulse to violence and crime and vengeance, the deflation of regret and loss. It all begins with these two features, which predated Truffaut’s The 400 Blows by mere months. True to form, they quietly established the arrival of a new talent, while Truffaut and Godard (with Breathless) caused a seismic shift. The two films are like a match set of city mouse/country mouse tales, the first set in the dying community of a rural village (Sardent, Chabrol’s own hometown), the second in the decadent bohemian student society of Paris, with Gérard Blain and Jean-Claude Brialy as the provincial and the sophisticate (respectively) in both films. Claude Chabrol, the most doggedly prolific of the New Wave directors all the the through the to the final months of his life, died less than a year ago. To this day it’s as if we take him for granted. Where we have deluxe, lovingly-restored and mastered editions of the films Francois Truffaut, Jean-Luc Godard, Eric Rohmer, Alain Resnais, Agnes Varda and Louis Malle from Criterion, few of Chabrol’s classics have received even nominally respectable treatment on DVD (mostly from Kino and the defunct Home Vision label), many of his greatest films have been relegated to inferior DVD editions (See my survey of Chabrol on DVD, circa 2009, in this feature on Parallax View) and not a single title has been given the Criterion treatment. That is finally going to change, I’m happy to report, but that comes later. First comes a brief report on the stateside DVD debuts of two seventies Chabrol films from Pathfinder. Pathfinder’s release of Juste Avant la Nuit (aka Just Before Nightfall, 1971), misspelled on the cover as “Avante,” and The Twist (aka Folies Bourgeoises, 1976) are among the worst-looking DVDs I’ve seen in the past few years. It looks like someone burned their old VHS tapes onto a DVD-R and tossed it out onto the marketplace. 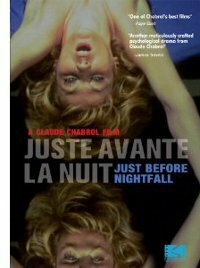 Juste Avant la Nuit, a thriller of infidelity and sexual games starring Stephane Audran and Michel Bouquet, looks like a TV print in the old Academy ratio (1.37:1), blurry and hazy and as low-fidelity as I’ve seen on DVD in recent years. The Twist, an English-language satire with Bruce Dern and Ann-Margret joining French actors Audran and Jean-Pierre Cassel, is even worse, a non-anamorphic widescreen presentation of one of Chabrol’s weakest movies. Zooming the film to fill a widescreen TV only magnifies the limitations in the already weak image quality and the optional French-language soundtrack offers no English subtitles. Even Chabrol completists will want to think twice about adding these disc to their collection, but apart from importing foreign DVDs with only marginally better presentations, these are the only versions available at this time. The final film by Claude Chabrol, the savvy nouvelle vague director who earned himself the sobriquet “the Gallic Hitchcock” for the psychologically compelling, emotionally jagged mysteries and thrillers that highlight his long (and sometimes rocky) career, may not be one of his great works, but there are major pleasure to be had in the minor production from an old master. Hard to believe that in a career of some eighty features, shorts pieces and television films, this is the first time Chabrol worked with Gerard Depardieu, who stars as the titular Bellamy, a veteran police detective and minor celebrity thanks to his memoir. He’s ostensibly on vacation with his wife Francoise (Marie Bunel), but as she observes, “Vacation is not in his vocabulary.” He adores her and she understands him and merely makes wry remarks as he drifts into a curious mystery involving an overtly enigmatic man (Jacques Gamblin) in hiding and the wreckage (physical and emotional) of what appears to be a botched attempt at faking his death. As Bellamy drifts through the orbit of a missing embezzler, pulling at strands that the local police seem unable to grab to understand the real story behind a seemingly simple case of homicide, his ne’er-do-well brother Jacques (Clovis Cornillac) blows into town with a new investment scheme and the same old shenanigans and jealousies that start them going around and around like scrapping boys. Claude Chabrol, one of the prime movers of the French New Wave—and one of the most prolific directors in France—died on Sunday, September 12 in Paris, at the age of 80. Dave Kehr’s obituary is at The New York Times here and David Hudson is collecting remembrances and essays at the Mubi Notebook. Catherine Grant has collected a wealth of resources at Film Studies for Free and you can revisit the essays and appreciations published during the 2009 Claude Chabrol Blogathon hosted by Flickhead. Claude Chabrol was one of the “young Turk” critics-turned-filmmakers who constituted the New Wave of French cinema at the turn of the ’60s. At the time, he ran a distant third to the iconoclastic, theoretical Jean-Luc Godard and the warm-hearted, soaringly lyrical François Truffaut. But in the late ’60s, Chabrol emerged as a magisterially accomplished classicist, with an unbroken string of masterpieces that established him as one of the world’s finest directors. He has managed to remain commercially viable—indeed, awesomely prolific—over the ensuing decades, while pursuing his own distinctive, coolly detached vision of life and cinema. And leave you with a short piece by Chabrol not on any compilation we know of: a commercial for Winston cigarettes directed as an American detective noir, in English, with a Bogie drawl and French subtitles. Salut, M. Chabrol! Consider this a post-script to Ten Days’ Wonder: The Claude Chabrol Blogathon: your guide to revisiting Chabrol on DVD (U.S. DVD releases only). More than half of Chabrol’s over 50 features have been released to DVD stateside, thanks in large part to such labels as Kino, Kimstim, Pathfinder and First Run, with other labels filling in the gaps with individual titles here and there. It’s almost enough for a representative retrospective. Almost. Most of Chabrol’s major films are available, but among the most glaring omissions are his match set of debut features: Le Beau Serge (1958) and Les Cousins (1959), both starring Gerard Blain and Jean-Claude Brialy. The roots of his entire career can be found in these beautifully crafted dramas, which are not thrillers per se but complex character studies with roiling relationships; that dynamic remains throughout the best of Chabrol’s films. (For the completist with an all-region player, there are Australian releases of both films in PAL format.) Criterion, how about tackling these New Wave essentials, either in special editions or a no-frills Eclipse collection with some of Chabrol’s less well-known films, like Les godelureaux (1961), also with Jean-Claude Brialy. Also unavailable are Landru (aka Bluebeard, 1963), his beautiful but uncharacteristically neo-realist The Horse of Pride (1980) and his “Dr. Mabuse” film Dr. M (1990), and the anthology films Les sept peches capitaux (The Seven Deadly Sins, 1962) and Les plus belles escroqueries du monde (World’s Greatest Swindlers, 1964), to which Chabrol contributed a short film apiece. What’s most frustrating about the treatment of Chabrol’s films that are available on DVD is that he isn’t given the critical attention of his New Wave compatriots. Criterion has lavished attention on the films of Francois Truffaut, Jean-Luc Godard, Eric Rohmer, Alain Resnais, Agnes Varda and Louis Malle with beautifully restored and remastered editions of the films supplemented by new and archival interviews and documentaries. The Kino releases of Chabrol’s early films are fine and KimStim’s releases look good, but many of the Pathfinder releases are indifferently mastered from mediocre prints and the quality varies substantially from disc to disc. Ten years ago it wasn’t as much of an issue, but with the growth of home theater and HD widescreen monitors, what was a minor defect before becomes magnified. For some time it was easy to regard Claude Chabrol as far and away the least of the nouvelle vague Big Three. Whereas Truffaut gifted us with bittersweet, occasionally wry affirmations of an abounding, Renoiresque life force and Godard challenged us to tag along as he sought new ways of looking at movies and at the world as well, Chabrol seemed to be playing games of a highly dubious, unrewardingly perverse nature. His early works, like Les Cousins and À Double Tour, reveled in the habitually petty and gradually escalating nastiness of very unattractive human beings; their occasional doses of broken-field camera movement and hothouse color tended less to exhilarate the viewer than to inculcate a sense of the director’s rash presumptuousness. (It was irritating to feel the nagging doubt that even though convention insisted such bravura displays had no place in depictions of such folks and their tainted milieux, Chabrol knew that, too, and had the germ of a serious purpose in flouting convention — though a failure of technique or timing usually flawed the unexpected track or crane or whatever, and hence restored one’s sense of complacent moral/aesthetic superiority before one was forced to concede Chabrol the point.) Bourgeois resentment tended to be upheld by the reviewers and the distributors: most Chabrols that managed to get to the States scarcely got beyond New York thanks to pans or lukewarm appreciations and soft grosses. Even at home Chabrol did not fare as his fellow critical confreres–turned–filmmakers, and eventually his resources (a wife’s personal fortune) ran out. The mid-Sixties found him making commissioned films, wishful James Bond imitations (Le Tigre aime la chair fraîche, Marie-Chantal contre le Docteur Kha, Le Tigre se parfume à la dynamite). The case seemed closed. Then, about the time Godard went politicking into anticinema and Truffaut threatened to get lost in Hitchcock imitations, Chabrol came back with Les Biches, and the thing was so gorgeous, so enthralling, yet so quirkily self-aware at the same time that I, for one, began to wonder whether this once trivially quirky gentleman mightn’t turn out to be the foremost classicist of the New Wave. And after La Femme infidèle, Que la bête meure, and Le Boucher, I’ve stopped wondering. 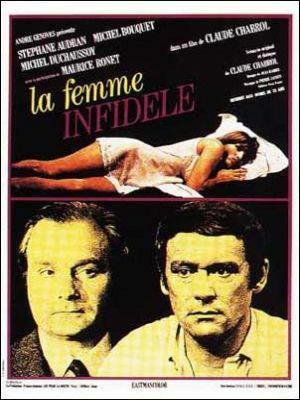 La Femme infidèle looks like the director’s masterpiece to date. It’s certainly a masterpiece. From the opening, almost functional glide along the front of the Desvallées’ suburban home, the film gathers itself with delicate relentlessness and moves toward one of the most lucid and fulfilled closing shots I’ve ever experienced. A major charm and, beyond and through that, a major strength of Truffaut’s films is that they are rife with “moments.” In Baisers volés or Deux Anglaises et le Continent these moments tend to accrete toward a deep conviction of the artist’s — and sometimes his characters’ — receptivity to life’s bounty. (In the contemporary world of Baisers volés and the continuing saga of Antoine Doinel, they testify toward the ultimate shaping of a random life; in the temporally distant cinematic country of a Deux Anglaises or a Jules et Jim they reverberate with remembered heartbeats, the knowledge of missed opportunities, the tenderly comic sense of people who caught at life with such fondly absurd deliberation that they crushed it; in a La Mariée était en noir or La Sirène du Mississippi, they suggest the flutter of a sensibility (Truffaut’s) whose instincts run counter to the generic house rules. Chabrol’s films — at least, once one has sat through them and is in a position to consider the whole of the individual movie — suggest a kind of organic containment or completion. This is hardly to say that Truffaut’s films lack form. Rather, their very form encompasses a sense of spontaneity, of accident: shots and scenes may go by very rapidly, as if they were pieces of a larger spatial and temporal reality but only these snatches of perception are important to the director and to us and so they are all we see. Truffaut is capable of long-take scenes and Chabrol is capable of fragmentation; but even Chabrol’s techniques of fragmentation and disruption tend to reinforce our sense of the scene’s relation to the entire movement of the piece. 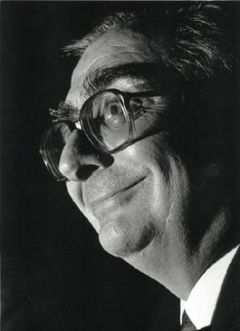 Claude Chabrol was one of the â€œyoung Turkâ€ critics-turned-filmmakers who constituted the New Wave of French cinema at the turn of the â€™60s. At the time, he ran a distant third to the iconoclastic, theoretical Jean-Luc Godard and the warm-hearted, soaringly lyrical FranÃ§ois Truffaut. But in the late â€™60s, Chabrol emerged as a magisterially accomplished classicist, with an unbroken string of masterpieces that established him as one of the worldâ€™s finest directors. He has managed to remain commercially viableâ€”indeed, awesomely prolificâ€”over the ensuing decades, while pursuing his own distinctive, coolly detached vision of life and cinema. 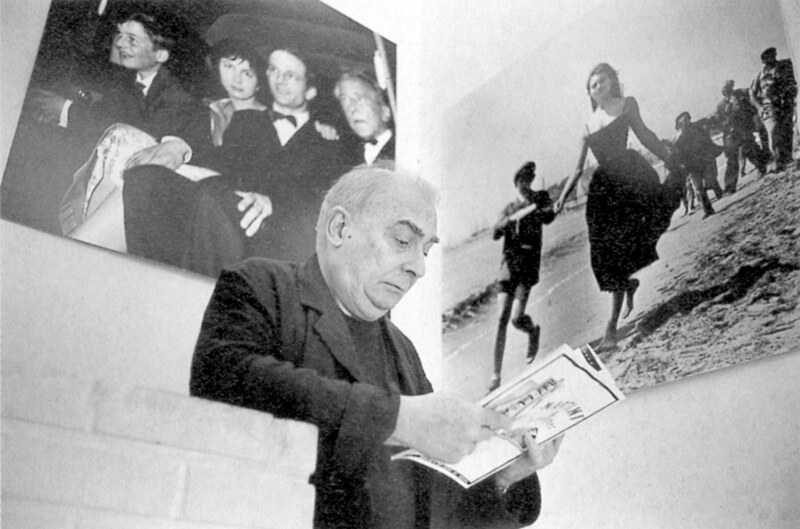 He was born in Paris but raised in the provincial village of Creuse; just as Godard eventually returned to his native Switzerland, so Chabrol has often set his films far from the capital of the nouvelle vague, and frequently made the very specific climate and landscape of his narratives key to their spirit and meaning. Chabrol pÃ¨re was a pharmacist, and grand-pÃ¨re before him; Claude initially studied to follow in the family tradition, but switched to literature and then political science and the law. Arguably, all these disciplines left their mark (did the lapsed pharmacologist take ironic relish in doing a film of Madame Bovary? ), but in truth he had been claimed early by the cinema. At the age of 12 he started a film club (they showed their movies in a barn), and as a student in Paris he hung out at the CinÃ©mathÃ¨que FranÃ§aise with such fellow cinÃ©astes as Truffaut, Godard, Jacques Rivette, and Eric Rohmer, with whom he would collaborate on the first serious book-length study of Alfred Hitchcock in 1954. This was a natural outgrowth of his writing, from 1950, for the revisionist film journal Cahiers du CinÃ©ma, which regularly denounced the big-studio â€œTradition of Qualityâ€ in French filmmaking and looked to such Hollywood masters (then largely unheralded) as Hitchcock, Howard Hawks, and Nicholas Ray as exemplars of personal authorship through figures of style. In 1952, Chabrol married a woman named AgnÃ¨s Goute (and assimilated her surname into one of his Cahiers aliases). She was an heiress, and in 1958â€”after a lamentable turn as a publicist in 20th Centuryâ€“Foxâ€™s Paris officeâ€”Chabrol drew on her fortune to finance his writing-directing debut, Le Beau Serge. 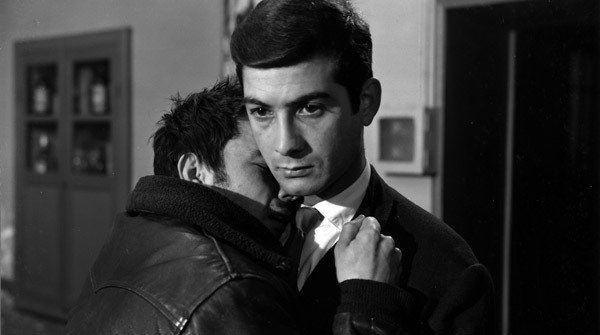 This provincial drama, focused on the tensions that grow out of a visit by a friend from the city, was well received critically, and Chabrol went on to reverse the strategyâ€”countrified GÃ©rard Blain visits sophisticated urban relative Jean-Claude Brialyâ€”in Les Cousins (1959), which won a prize at the Berlin Film Festival.